To Write Love on Her Arms Founder/Creative Director, New York Times bestselling author of "If You Feel Too Much"
Welcome to Midnight. That's what we say when the ball drops and a new year begins. I like that moment because beyond the fireworks and resolutions, beyond the kisses and celebration, is the quiet hope that something can be new. That it's possible to leave the past behind and start again. There's nothing extra special on television tonight, no clapping crowd in Times Square, no parade scheduled for the morning. But this midnight means World Suicide Prevention Day, and we would like to think this day can be significant. Not because the world needs another holiday, and not because we need a stage to stand on. We believe in World Suicide Prevention Day for the same reasons we love New Year's Eve and New Year's Day. Because perhaps it's possible to change. Perhaps it's possible to start again. Perhaps it's possible for things to be new. We know that change takes more than a moment, and we aren't saying it will be easy, but we're saying that it's worth it. This life. This night. Your story. Your pain. Your hope. It matters. All of it matters. You're loved. You matter to this world and you matter to the people who love you. So stay. Please stay. 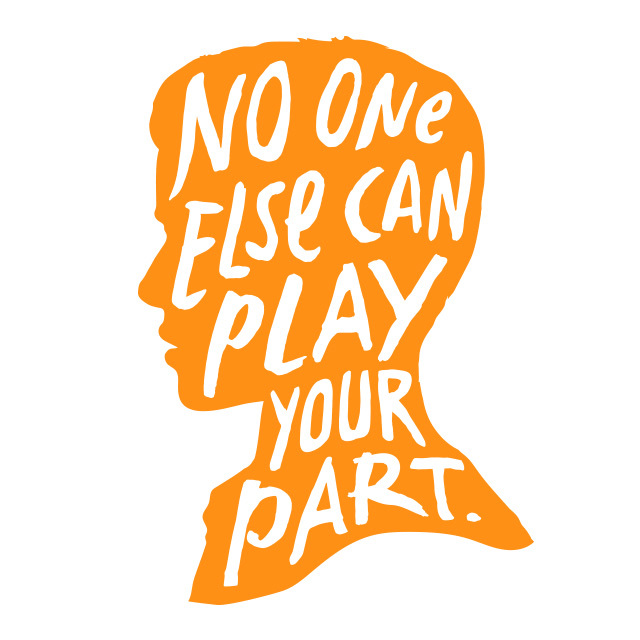 No one else can play your part.